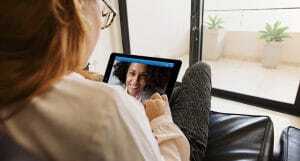 Many of your patients already use telehealth in some sense even if they may not know the word for it. 80% of all Americans use online resources to look up health information and “cyberchondria” is already a concern among mental healthcare professionals. What you, as a healthcare professional, have to do is find the healthy middle ground that lets you reach your patients, and interested parties generally, while ensuring that the information you provide is correct and likely to bring in people who genuinely need your help. As with almost everything else online, this starts with Google. More than 75% of people who go online for health information start there or another of the big search engine sites. This means working out search engine optimization (SEO) strategies for what you do. There are plenty of websites out there that offer advice on how to do this on your own, but frankly the smart money is on hiring a professional. SEO techniques can be tricky and counterintuitive and may be outside your experience. So, hire a pro and get back to being an awesome doctor or nurse. 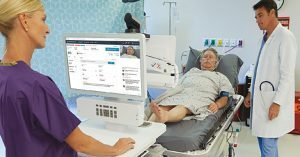 Many telehealth providers will already have them on. In person communication with your patients is a different story. You will always be your own best salesperson and face-to-face communication is still the strongest way to convey not just the information itself but also its importance. Among older patients, this remains a central point. They want to talk to someone. That said, today’s retirees watched Neil Armstrong land on the moon so they know the power of technology and are adopting it in droves. 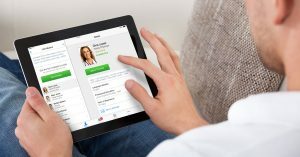 Younger patients are already online for health and everything else. There is even some evidence that they may prefer mediated communication over face-to-face interaction. But they still have to talk to a person. A good bit of work has already been done in wearable and other smart devices that can track the health of a patient, or alert a healthcare professional if an emergency crops up. But it is unlikely artificial intelligence will replace humanity in this field in the foreseeable future. So, young, old, or in between, you will still have to talk to your patients. Whatever the audience or the medium, talking to your patients openly and honestly is still your best bet.